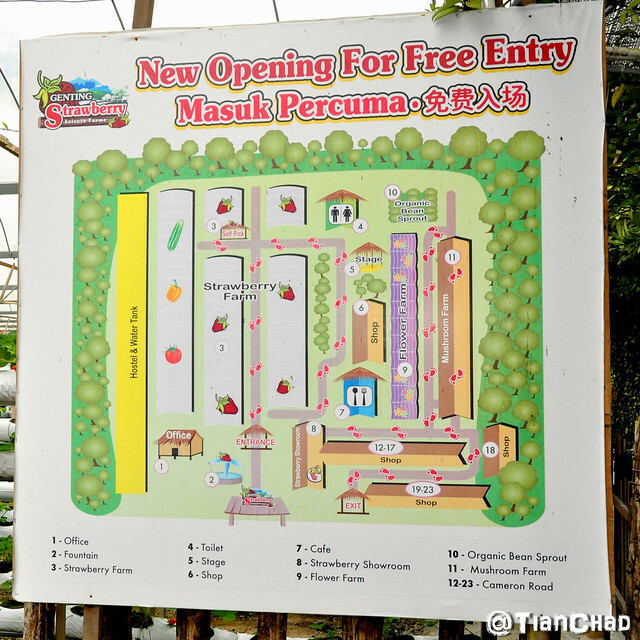 After our classy Thai-Chinese fine dining at Imperial Rama, we then depart to Genting Strawberry Leisure Farm through Genting Skyway. We were brought to the express lane for a faster trip. Do note that the Skyway Express Lane is only applicable to Silver Card and above members only. This lane will be very useful when you are in Genting during school holiday and weekends. The weather was just nice before we went downhill. 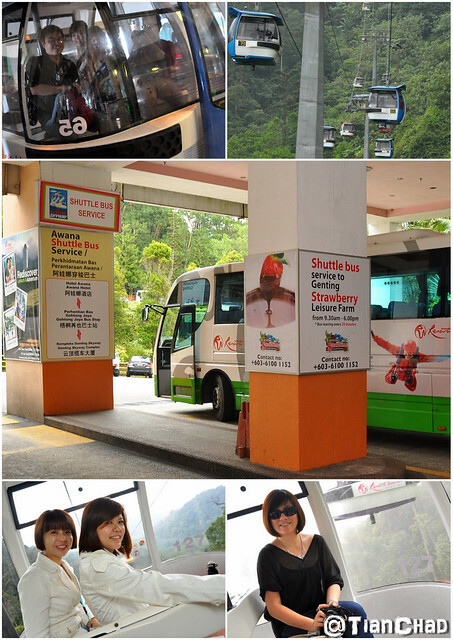 I always use Genting Skyway to Genting Highland when time allows as I don't need to drive and there are bus services from One Utama to Genting too. However, remember to buy your ticket earlier or else you would miss your bus. 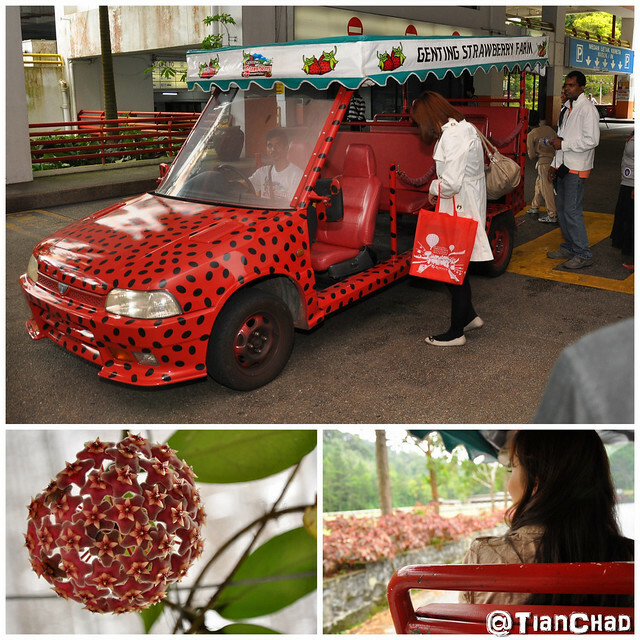 We took the shuttle van to Genting Strawberry Leisure Farm and it will be an awesome experience only when you are not behind a bus that keep on exhaust black smoke while climbing up hill. Each person will cost RM2. 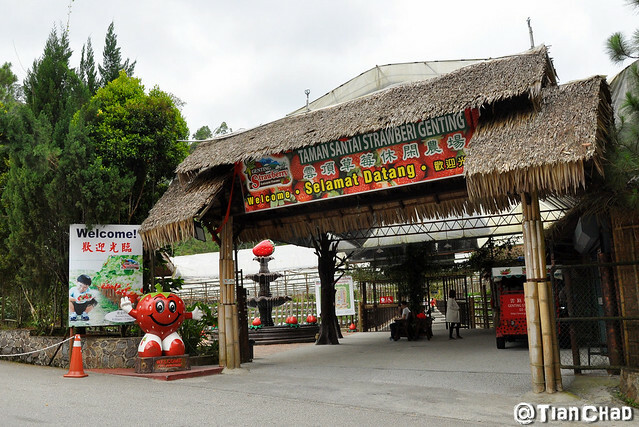 Here's the main entrance to Genting Strawberry Farm. You won't know how big is the area until you went in. 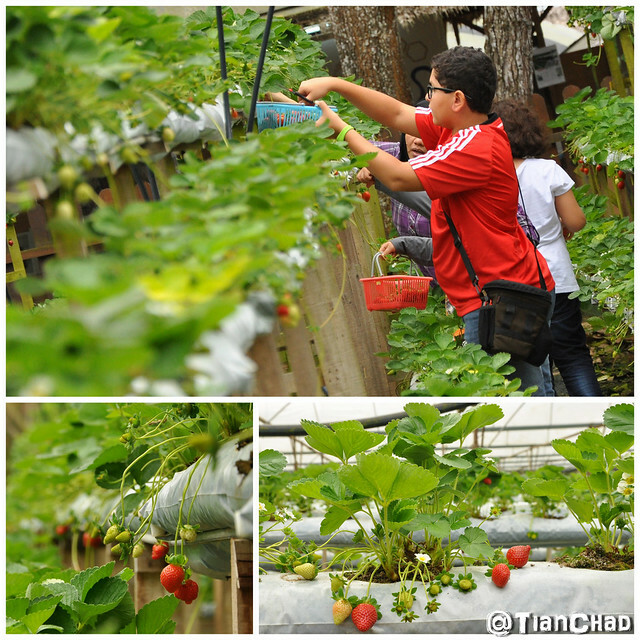 Genting Strawberry Leisure Farm is the biggest strawberry farm in Malaysia and the first of its kind in the Genting Highlands region. 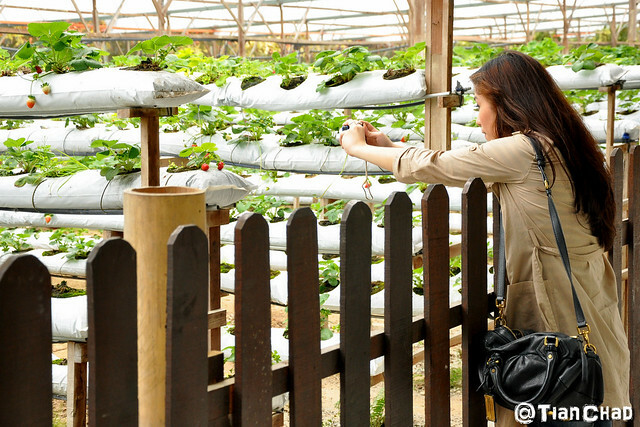 A concept farm that combines the elements of farming, leisure and business, it provides the ultimate strawberry experience for the discerning enthusiast! Shah and EiLing posing with the Strawberry Cartoon Statue. Yes, good thing is it is FREE ADMISSION for everyone to go into the farm. 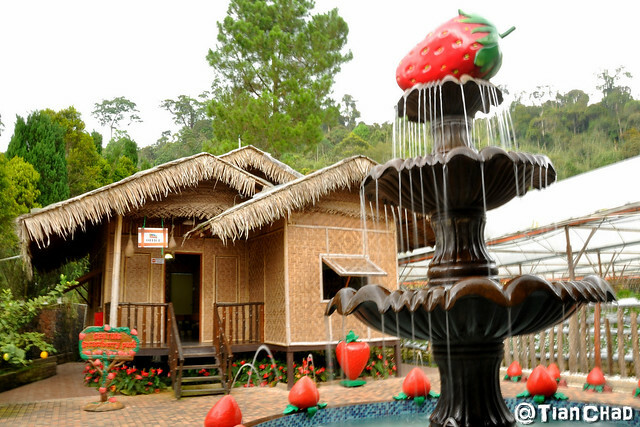 Conceived by professionals with decades of experience in the farming and the tourist industry, Genting Strawberry Leisure Farm is designed to meet the needs of tourists – both local and foreign, strawberry lovers and just about anybody from all walks of life who wants to truly enjoy nature’s finest in its purest form. 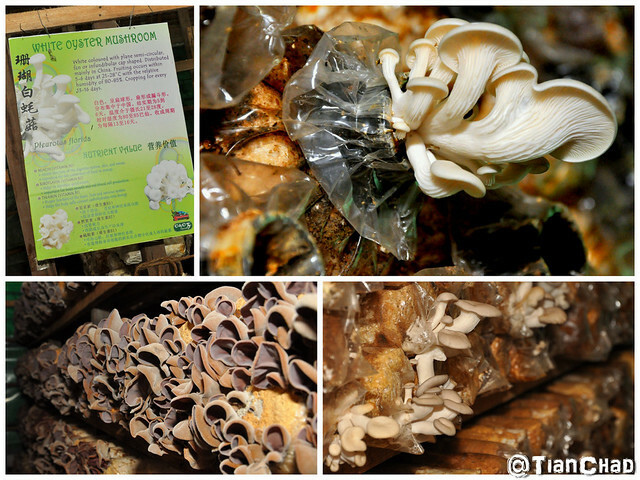 There are different zones where you can find organic bean sprout, flower and mushroom. I didn't expect the area was so big until I was inside there. 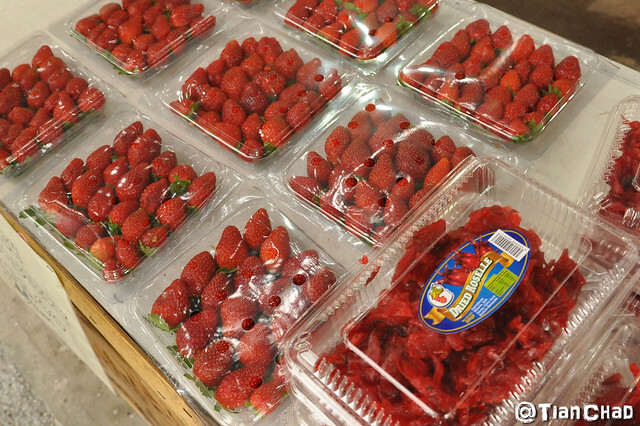 You can purchase freshly picked strawberries at the counter that sell shuttle van tickets. Dried Roselle are available too. 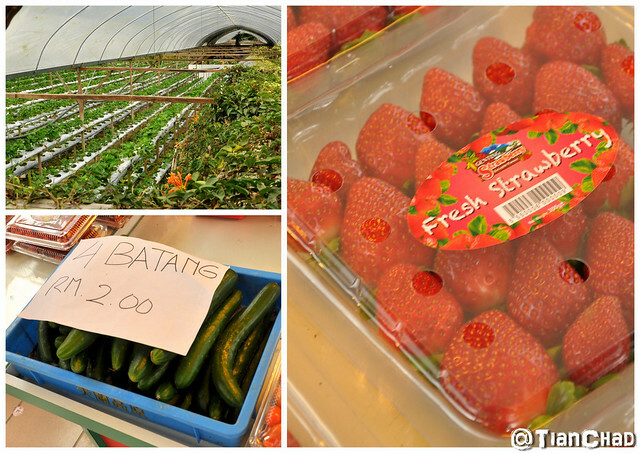 I didn't see much strawberries here as I guess it is because visitors are allowed to self-pick the strawberries here. The weather here is not as cold as I expected. It was a good decision of not bringing my cold jacket haha. When you go further down you will see this area where yellow flowers decorating the corridor. It is a beautiful spot for photography =) You can have nicer view if you walk in further. 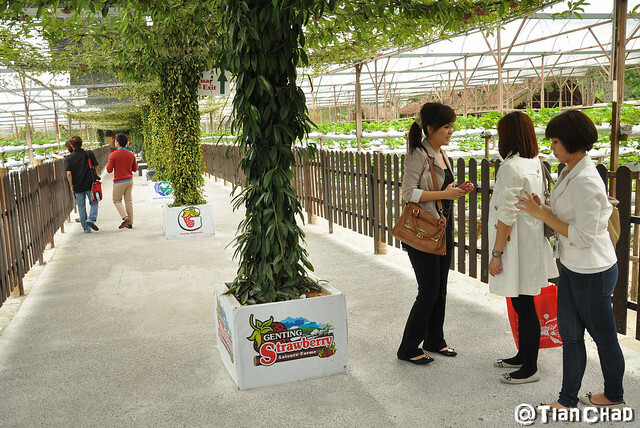 Naughty HuaiBin who manage to get some free strawberries to eat. Hahaha! 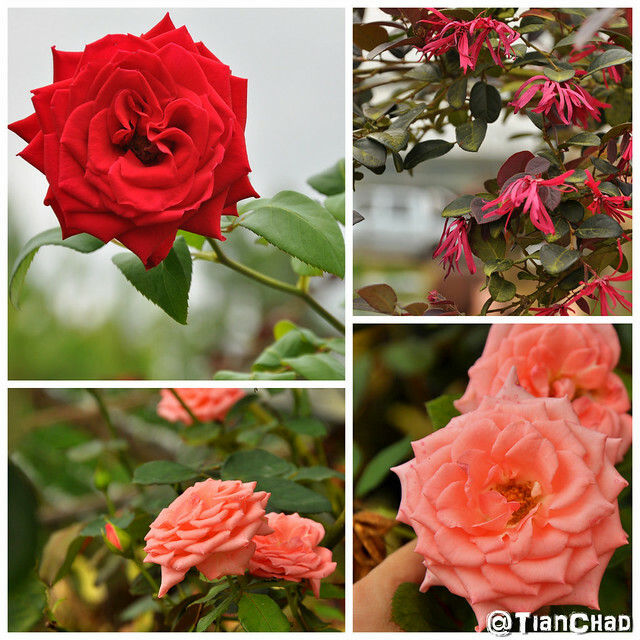 Spotted some nicely bloomed roses and other flower at another zone of the Strawberry Farm. Here's another spot for photography in this place. 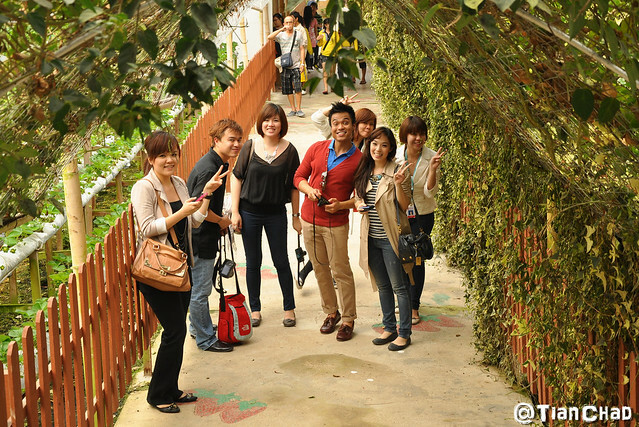 It was before we climb up the stairs and went in further to be surprised by more colourful flowers~! Looks like morning glory but it is a different species of flower. 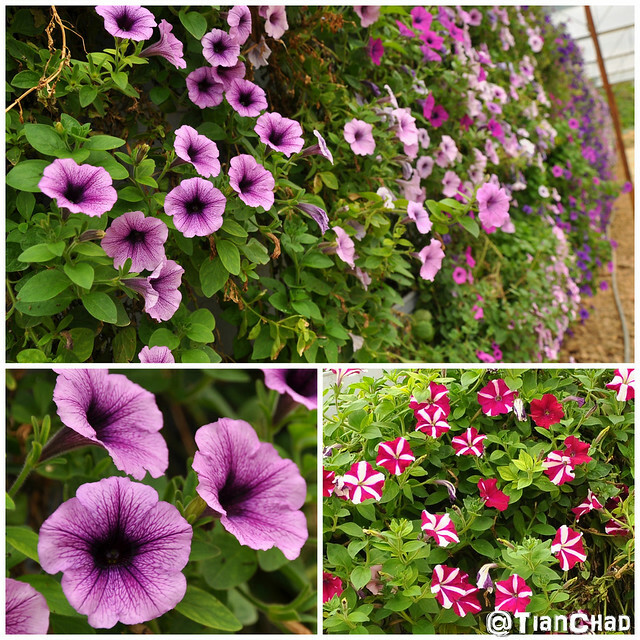 I can't remember the name but you can always take picture with this HUGE Wall of blooming flowers. A great view of people planting the same plant. 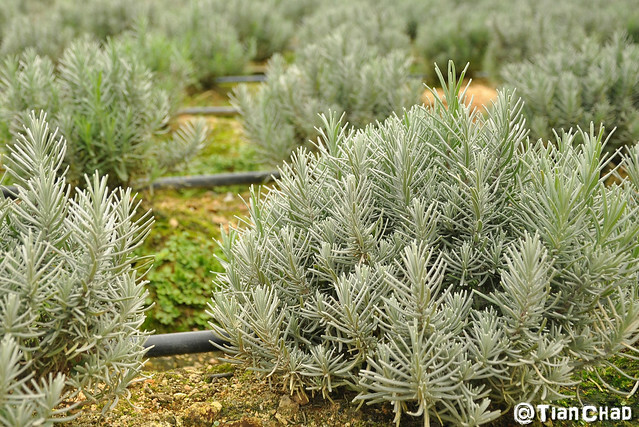 These are Lavender and it will surely looking awesomely nice when they blooms! Do you know what plant are they? They are all Lavender! I should have bought those cucumber for my girlfriends rabbits haha. 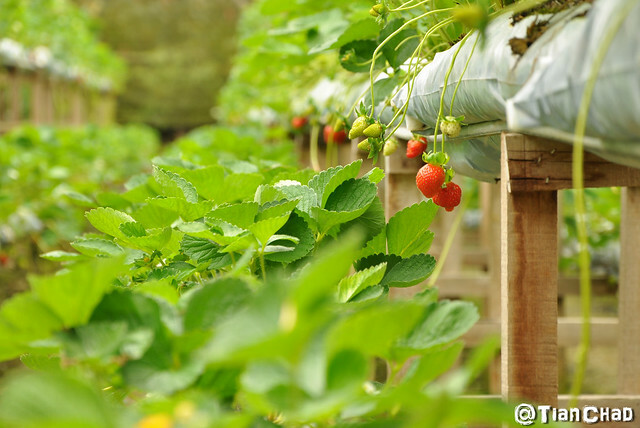 There's a cafe where you can try many different strawberry dishes. Remember to try the Strawberry Ice-stick. 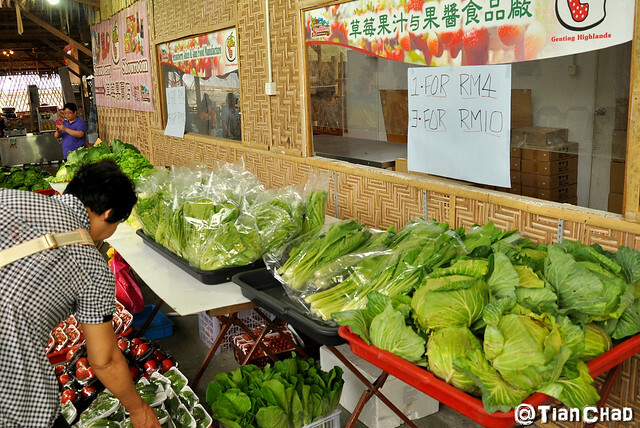 Besides that, you can buy fresh vegetables inside the farm. 3 for RM10.00!! Remember to not touch them unless you want to ruin it. 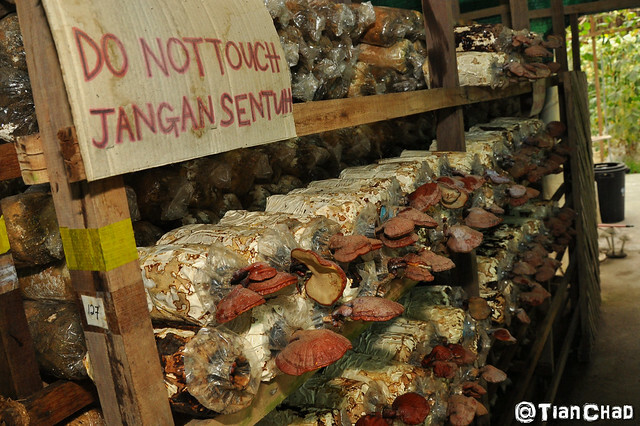 That place is kinda humid and dark to suit the growing condition for the mushrooms. 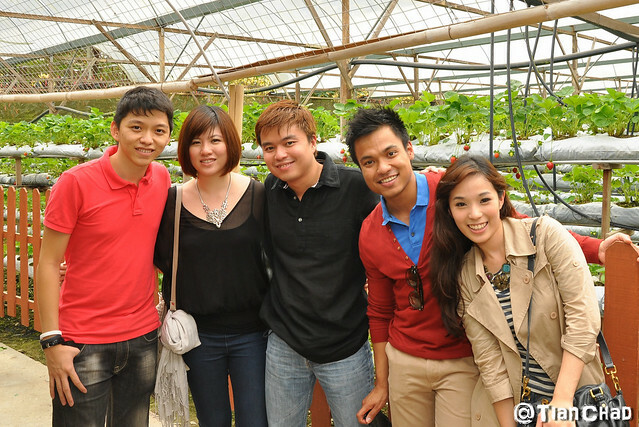 If you want to see huge vege, you can find it at Strawberry Garden Leisure Farm. 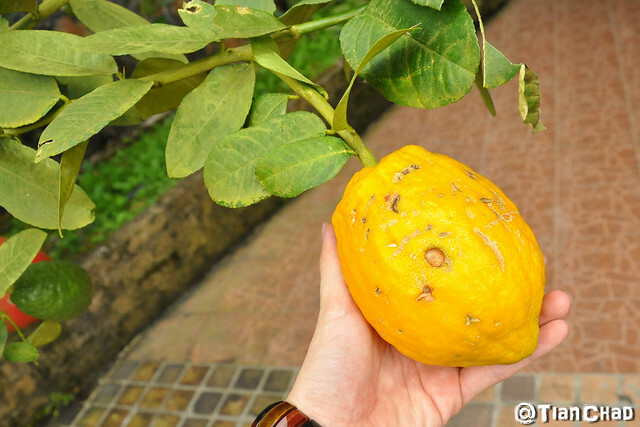 I still wondering if this is a HUGE lemon!